Now your vestibular nuclei are connected to lots of areas in the brain. 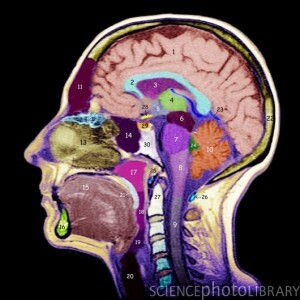 In that base of the brain, the brain stem, they active areas to do with blood pressure. they can either make your blood pressure go up or down. This makes sense. When you stand up, your vestibular system in the inner ear senses this and activates those areas that will raise your blood pressure. If it didn’t all the blood would run down into your legs, your brain would be starved of oxygen, and you would faint. However for some people who have dysfunction in the vestibular system, this is exactly what happens. The vestibular nuclei also activate the areas that drop your blood pressure and make you feel sick. Most of us would remember as children spinning round and round until we couldn’t stand up straight, and that if we did it enough we would feel sick. That is the vestibular system over working. As well the vestibular nuclei send signals to move our eyes and control the muscles of the spine. And this is only some of the connections that they have in the base of the brain. You can see why balance problems can affect many things. Now, if you recall I asked you to remember the cerebellum controls the vestibualr nuclei. Imagine if your cerebellum stopped working properly. The vestibular nuclei start acting like naughty kids. They have a big party and start trashing the house. Your blood pressure can vary spontaneously starving your brain of blood. Your eyes can move in ways that they aren’t supposed to. 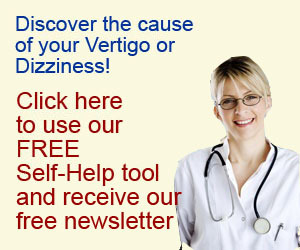 Your balance can suddenly go haywire as the vestibular nulei get out of control. What causes the cerebellum to fail? That is a long story and I am afraid will be the subject of another post. But tell me, did this help your understanding of your balance problems? Is there anything you’d like clarification on? Let me know by posting a comment below.